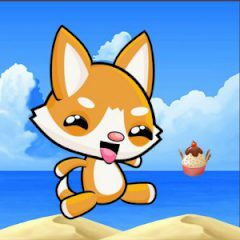 This tiny cute fox wants some tasty things, Help him to get them and dodge the obstacles. Toby is seeking for the fruits and he needs to get them all. Move him along the level and collect all fruits before reaching the portal. Dodge enemies and have fun!